The festival will take place in Montevideo, Uruguay in Mid-November 2017. The festival will be announced internationally and across Switzerland, in all major cities. There is no prescriptive theme and any visual material submitted can run for no longer than 10 minutes. Animated cartoons are not accepted. The works have to be submitted with a short bio of artist and a synopsis of previous works and exhibitions (see entry form). Dependant upon the length of films received, a maximum of twenty-five can be taken into the official program of the festival. Five of them will be nominated and admitted to the competition for the Gstaad Film Award. This award is to be The Golden Cow of Gstaad. The prize money will be CHF400 and an invitation to Gstaad, Switzerland. In 2015 there was a NEW PRIZE awarded to an emerging artist/filmmaker under the age of twenty five; The Golden Calf of Gstaad. A prize of CHF100. All of The Golden Cow awards are hand-carved by a local dairy farmer Walo Perreten, who has his farm in an area quite close to Gstaad. For cost reasons, any received films will not be returned after submitting to Gstaad Film. Visual material will be held in the permanent collection of Gstaad Film. All rights will be reserved for the authors. By submitting a film - you the author allow Gstaadfilm to post all or segments of said film on the Gstaadfilm website. Digita﻿l preview copie﻿s in which the spoken language is not German, English or French, should be submitted with subtitles in one of these languages. Films that are submitted on unreadable or damaged preview files will not be considered for selection. It is up to the applicant to ensure that the preview file is in full working order. Gstaadfilm has the right to select or reject films for the festival. If a film is selected for the competition programme of Gstaadfilm, it can no longer be withdrawn. If the original version of the film is in a language other than English or German, the screening copy should have English subtitles. 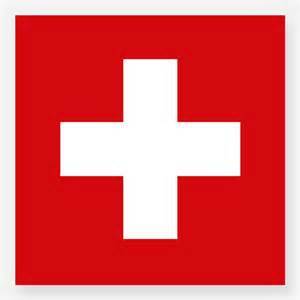 All deliveries from outside Switzerland must be marked as follows: (Used video tape / used film print. For cultural purposes only. No commercial value.) The value of the package contents should be declared as no more than 20 Euros. The applicant is responsible for the costs of sending any screening copies to the festival. - With the application (online entry form), the applicant confirms that he or she possesses all rights necessary for the screening of his or her film at a film festival.